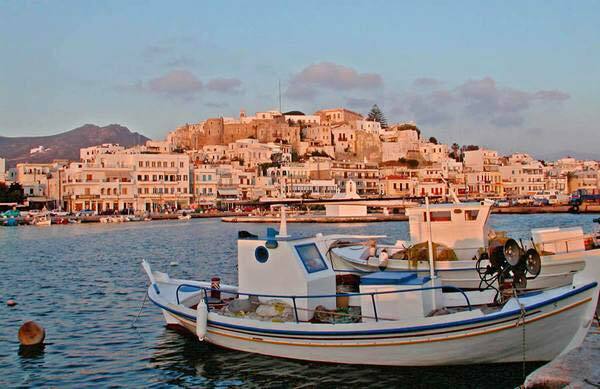 Naxos Greece is the largest island of the Cyclades (Kyklades - Greek Pronunciation) island group in the Aegean Sea. 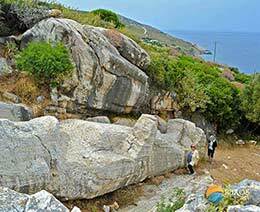 It is a land mass of some 429 square kilometers making it large enough to be sparsely populated even during the peak of the tourist season. 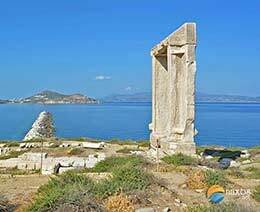 Herodotus (circa 500 BC) describes Naxos as the most prosperous of the Greek islands. 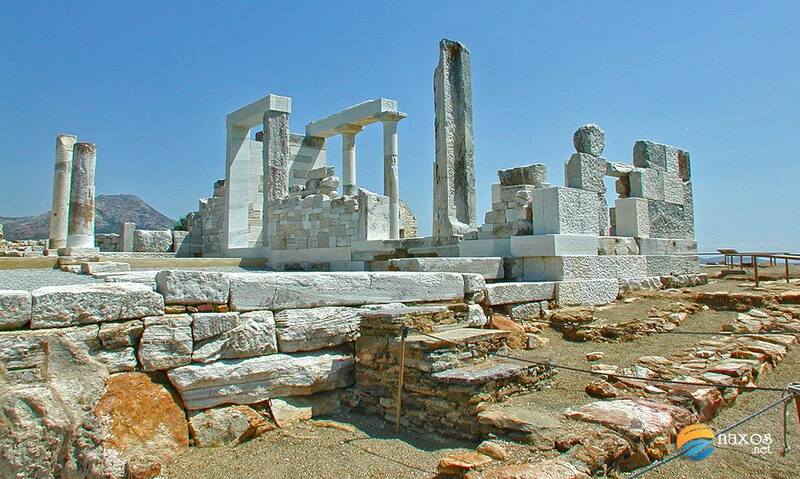 In fact, Naxos also dominated commerce in the Cyclades during the 8th and 7th centuries BC. 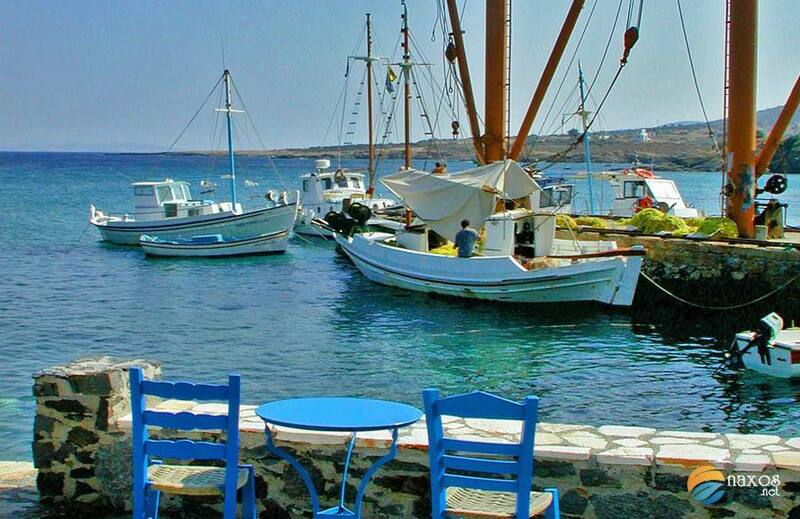 It is still a dominant economic player in the Cyclades. Naxos is a popular tourist destination with plenty to do. In fact, it is large enough to need a vehicle to get around it, if sightseeing is what you prefer. 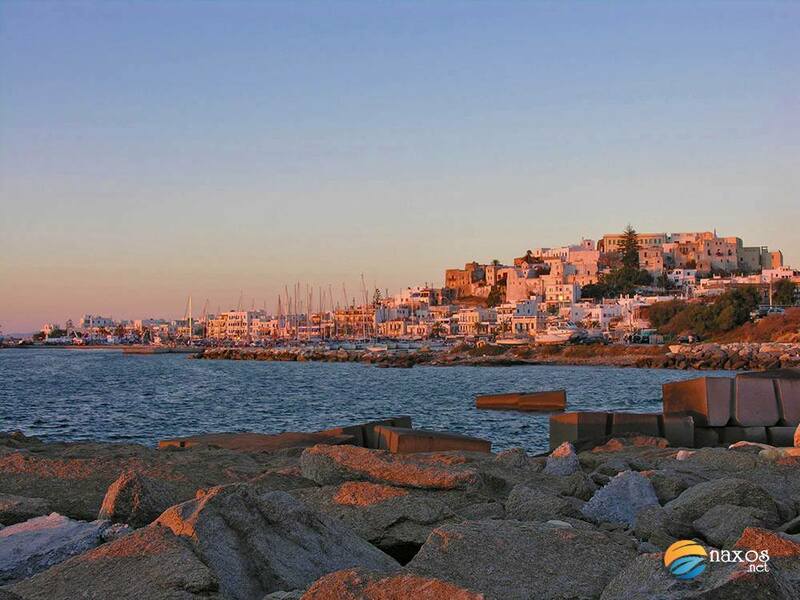 The viewing of several more important and less important ancient ruins and medieval structures, from the famous Portara to the ancient temple of Dimitra and the medieval Venetian Castle to be found in the old city section of the capital is highly recommended. 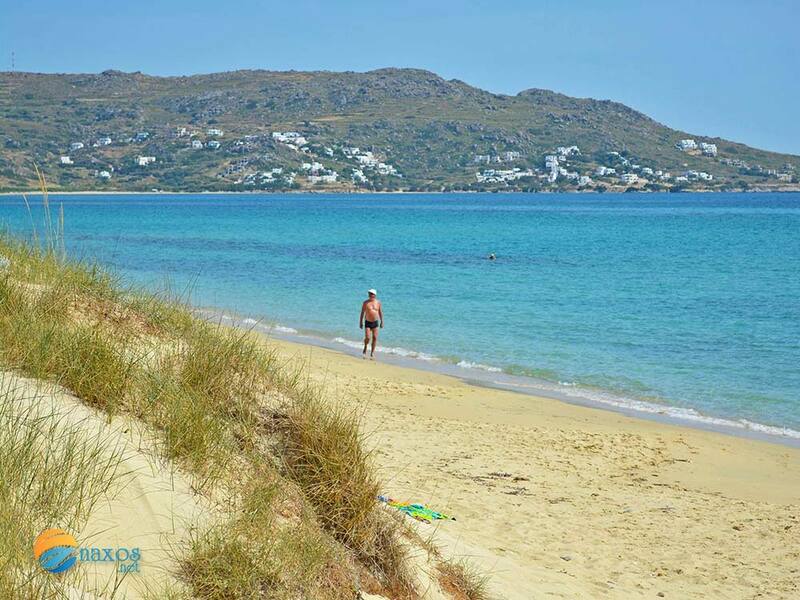 The island has a large number of beaches, such as those at Agia Anna, Agios Georgios, Agios Prokopios, Alyko, Kastraki, Mikri Vigla, Plaka, most of which are relatively near the capital named Naxos Town or Chora (a name often used to designate the capitals on the Aegean islands). A few of these are organized but due to the island’s size most are not, providing many places of seclusion. 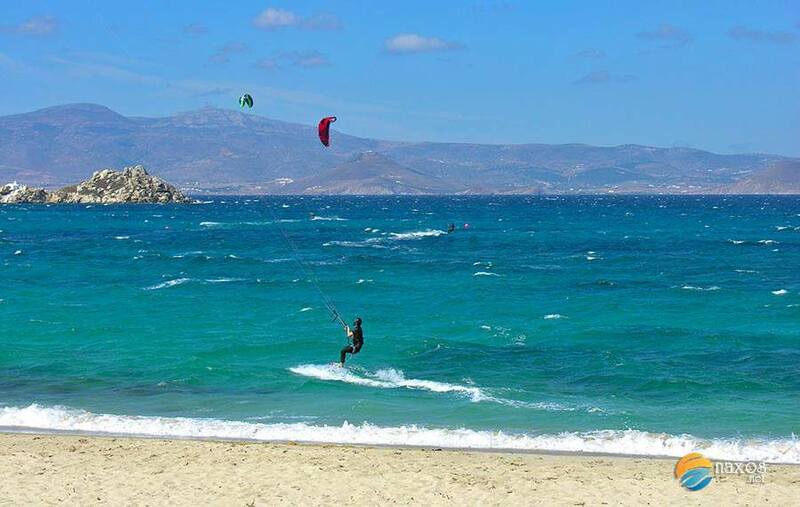 The Cycladic islands are generally windy places perfect for windsurfing and kite-surfing, Naxos is having considerable land mass, offers waters of all varieties for sea and beach activities. 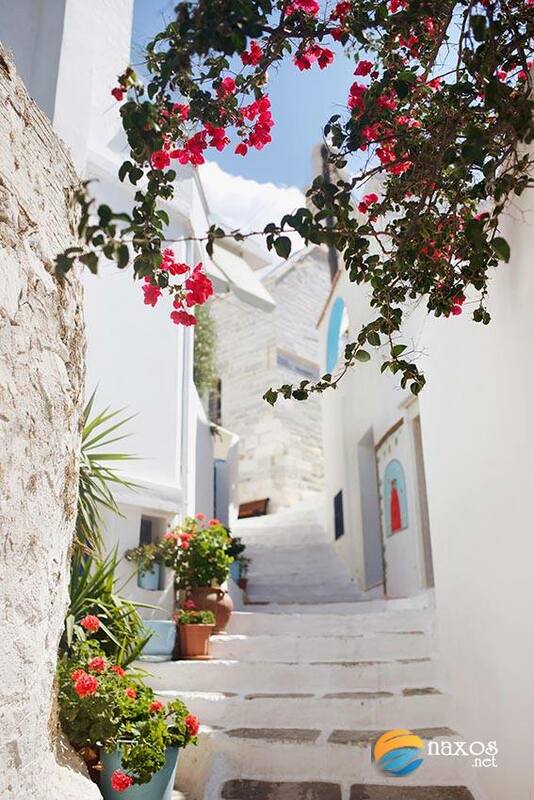 The climate is naturally Mediterranean, with warm summers and relatively mild winters. 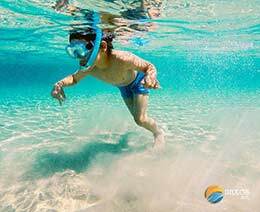 Being a large island, it has many pristine beaches with various coloured crystal clear waters, ranging from blue to turquoise and green. 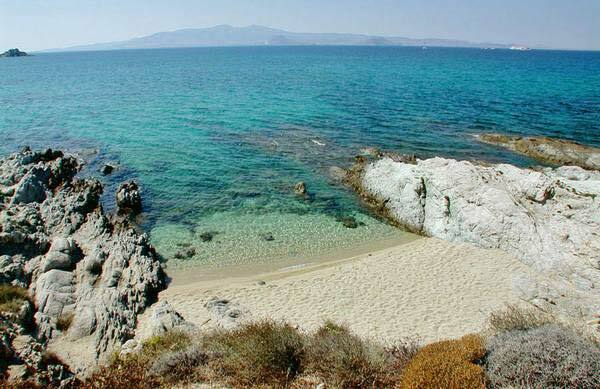 Most of the beaches are of fine sand and several are very long, allowing for privacy even during high season. Agios Georgios, of the many beaches is very shallow for quite some distance into the water with taverns just behind the beaches, a perfect place for families and especially those with young children. Another great point in the island’s favor is that, because of its size, rowdy night life tends to be a little further away from hotels and rooms. 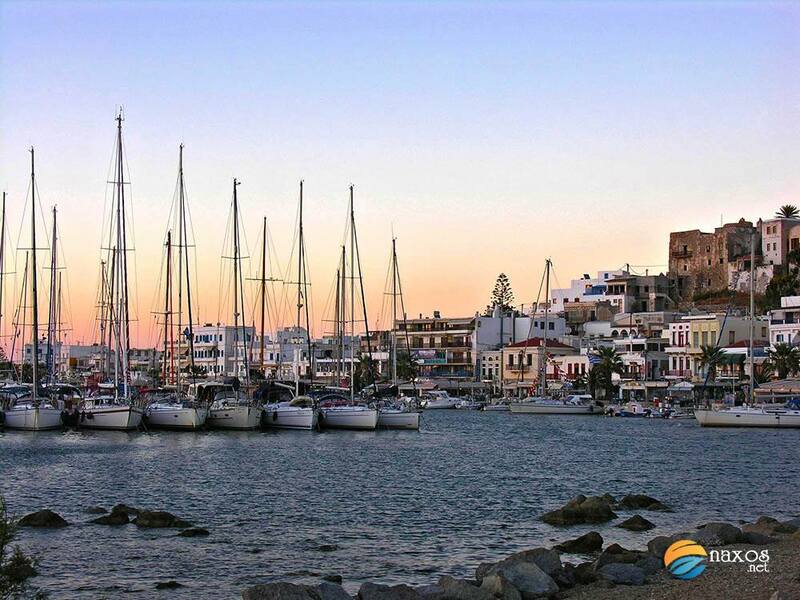 Since Naxos is not a “wild party island”, a wide variety of night life establishments are available. 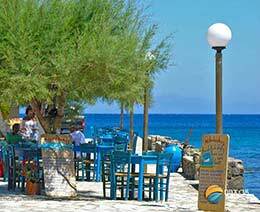 Eating is really good and reasonably priced, with Greek sized portions, which are rather generous. You certainly will not go hungry or feel cheated here! 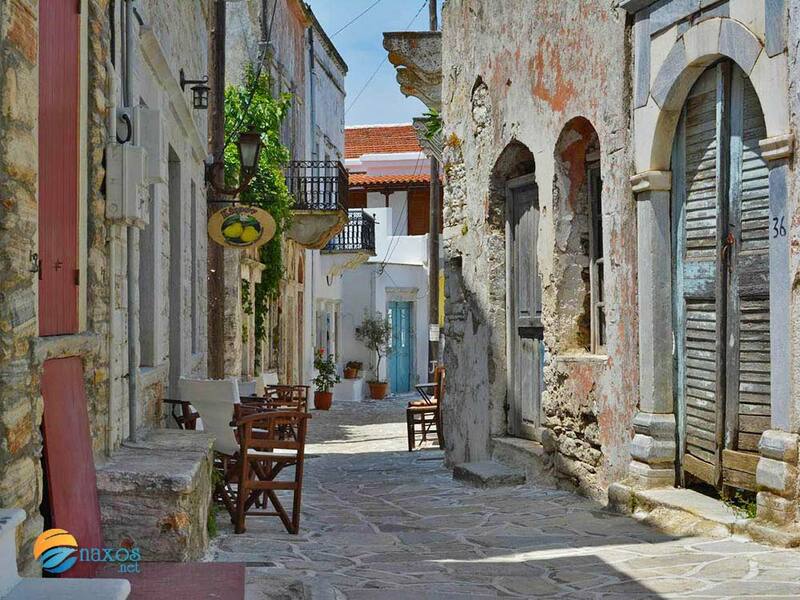 The main villages are Apiranthos, Filoti, Glinado, Koronos and Vivlos (also called Tripodes). 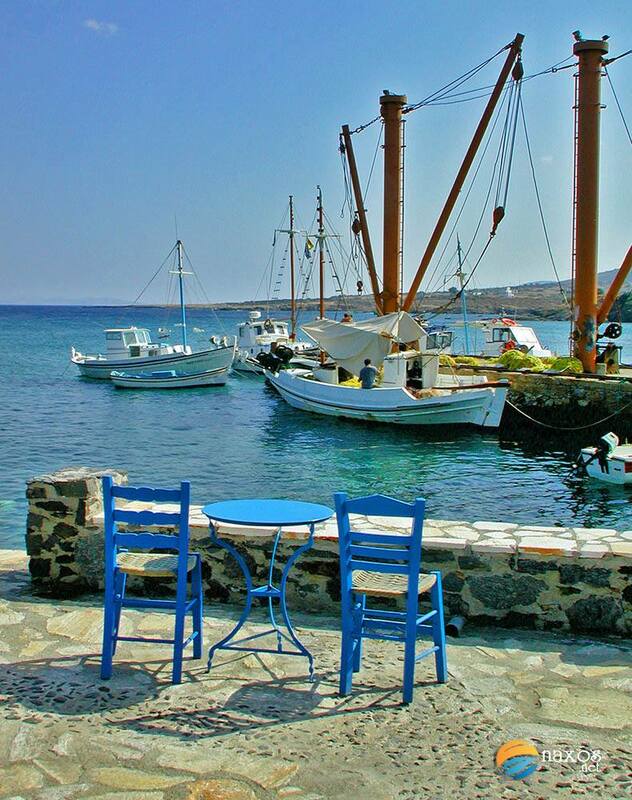 A tour of these villages will quickly reveal that it is by no means a sophisticated island in the tourist sense. It does, however, provide everything and more, necessary to make visitors very comfortable. 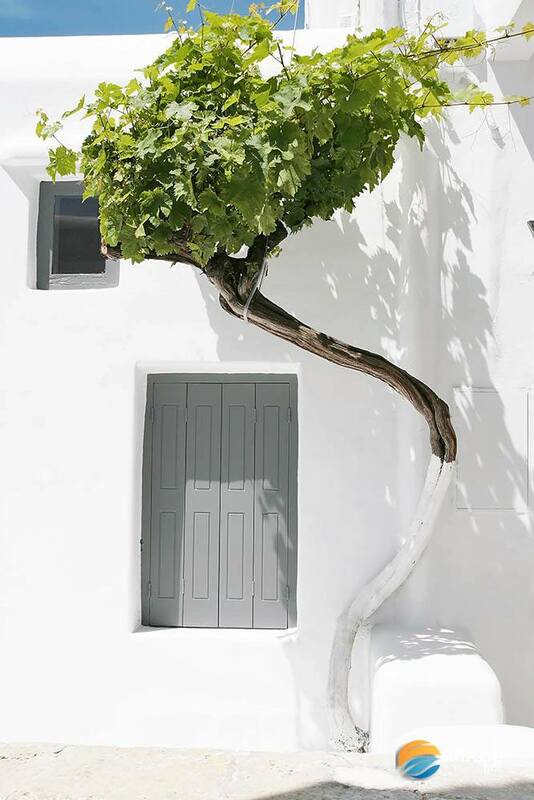 Each of the villages mentioned has an individual charm, associated with its building types, views, festivities and activities. 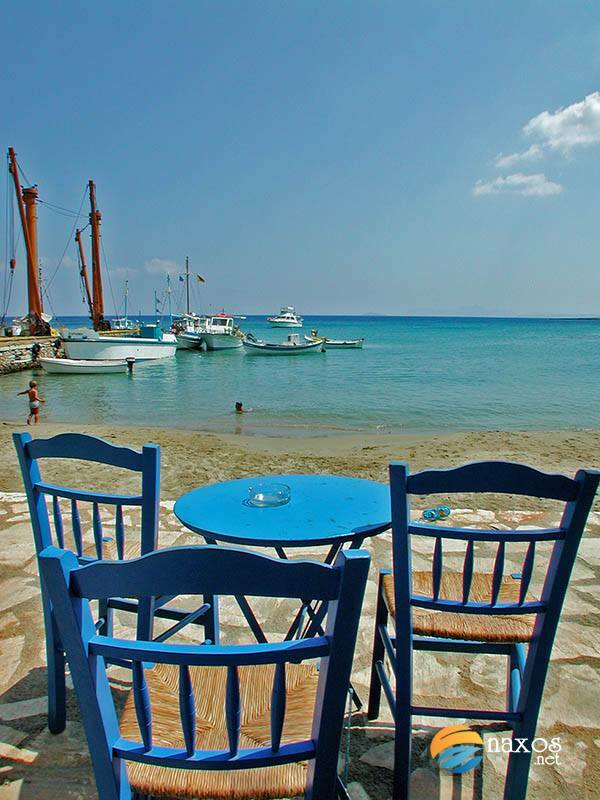 The view from Apiranthos, for example, is a real stunner! Because of the size of the island, touring it requires transportation. Day trips will reveal some of the harder to get locations and beaches that few tourists ever explore and even some locals have never been to! 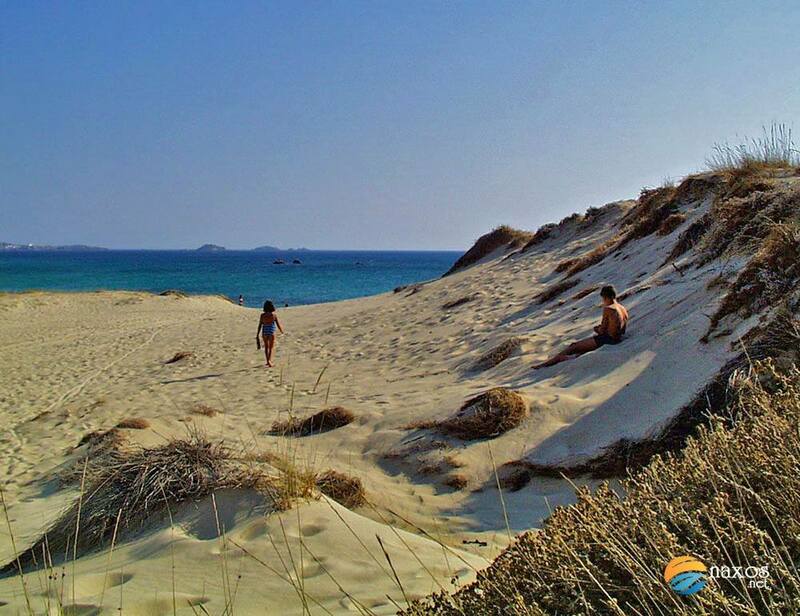 Moutsouna is one such village and beach. 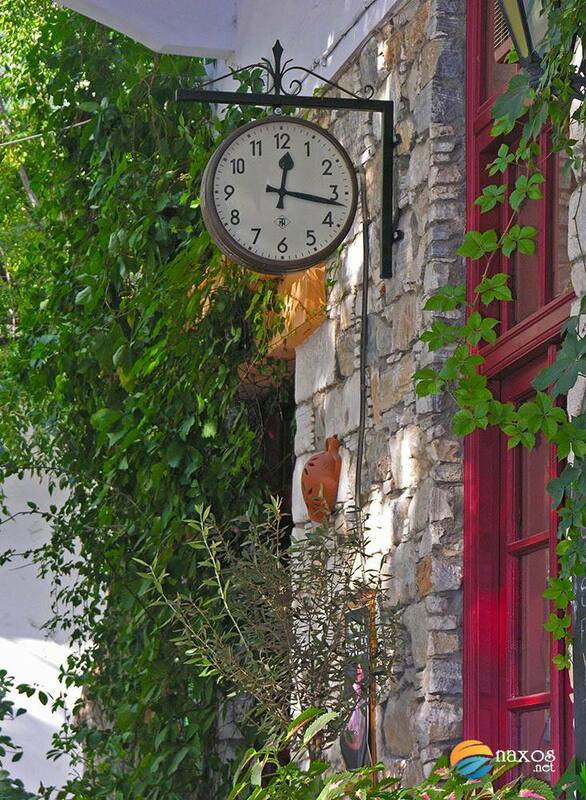 The little waterfront taverns and the shut down emery mine (for which the island was famous as a source), provide a window into the past, a very charming 50’s look of life as it was in the area. If on the other hand trekking is what pleases you, then there are several long and short routes to enjoy nature walks on. 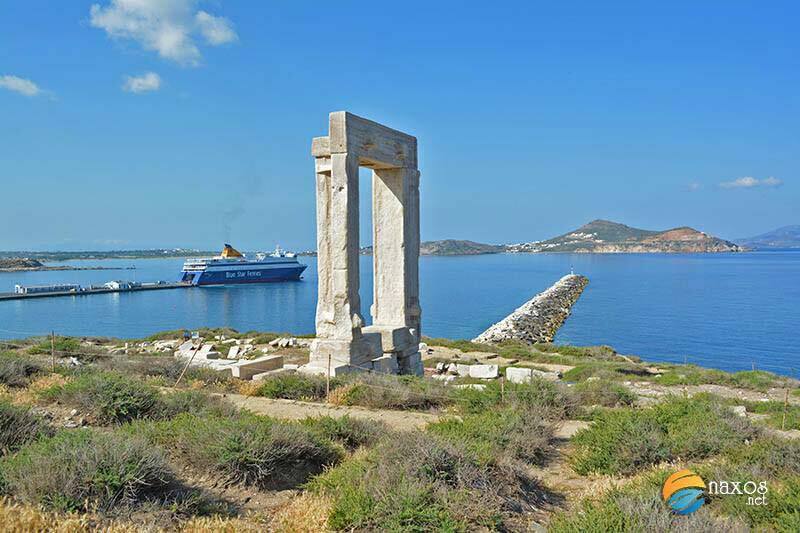 Being a big island, Naxos offers many options to the traveller who wishes to explore a variety of activities during his holidays. Let us start with the great selection of beaches, each different in looks and style so that everyone can have his/her favourite beach. 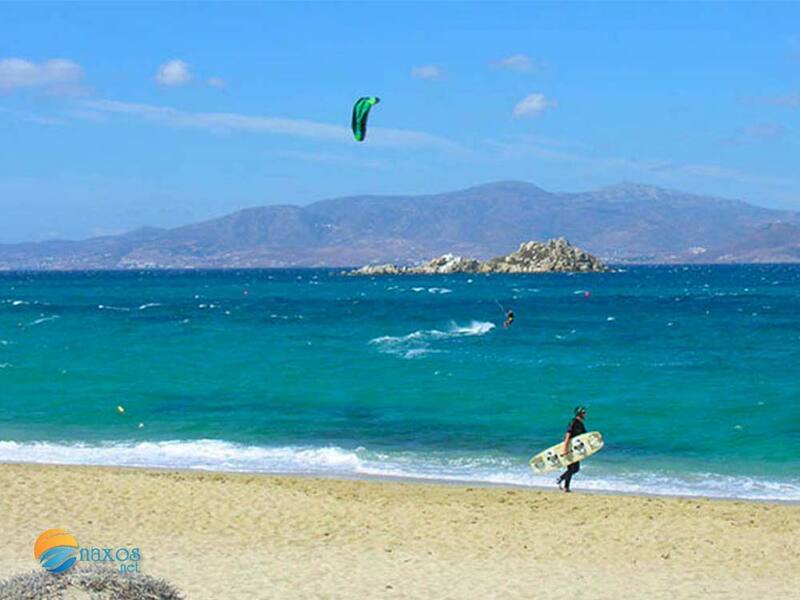 Whether it is a sandy or a rocky beach you are looking for, a quiet or a busy one, with or without sports and amenities, a long beach or a small cove, Naxos has it. And, you can be on the island for a month without being able to see them all. 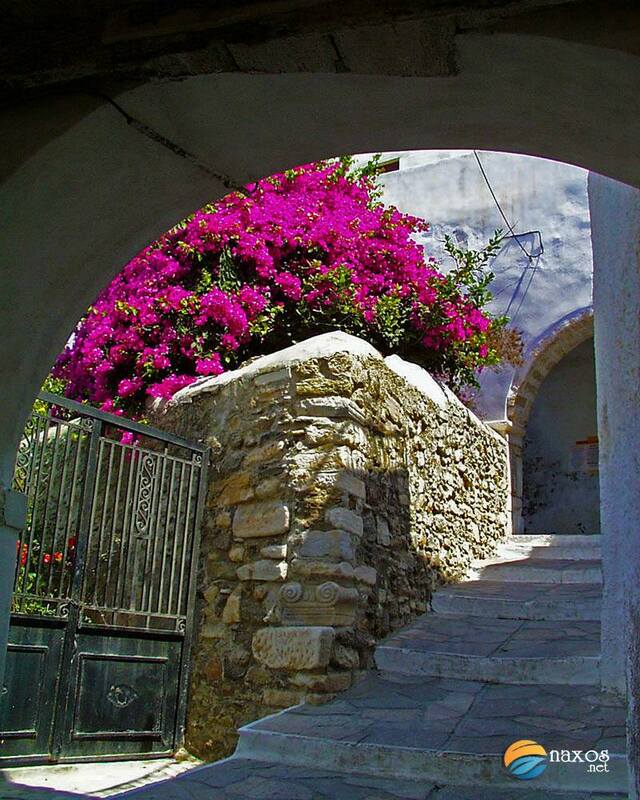 As for the picturesque villages, Naxos is a photographer's paradise. 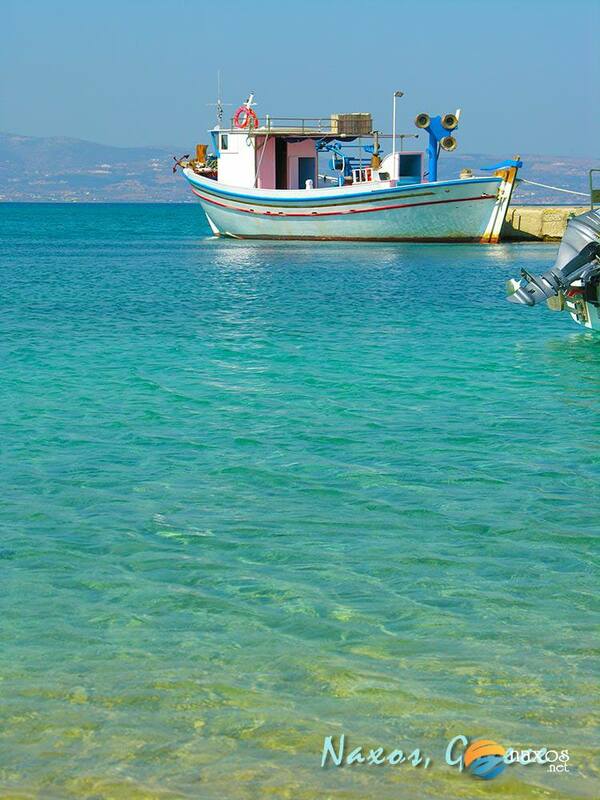 From seaside fishing settlements to mountainous traditional and agricultural villages, take your pick. 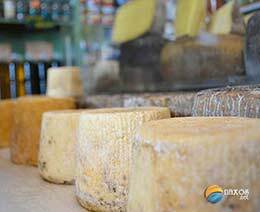 Perhaps the most important pleasure Naxos has to offer is the authentic taste of the Mediterranean cuisine, based on its rich produce of wine, aromatic herbs, vegetables, fish, meat and dairy products coming straight from the Naxian land and sea. 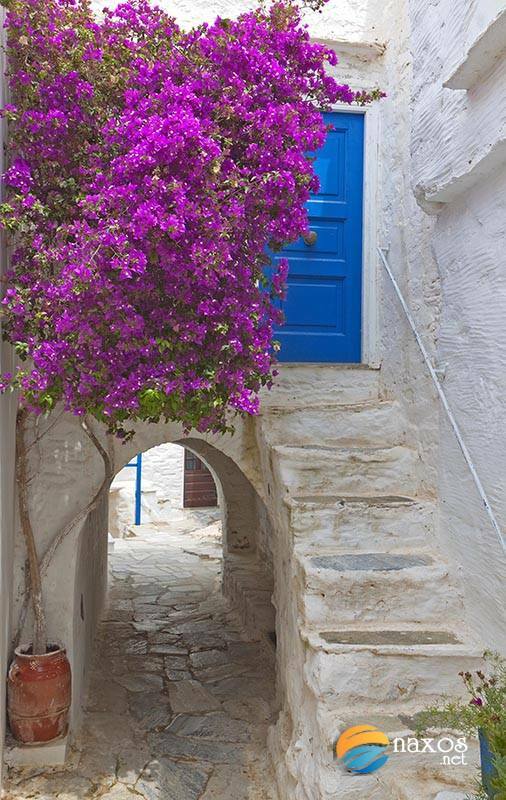 You can literally taste Naxos in every village, at every home you visit in every whiff while walking along its streets and alleys. It is everywhere.